On that note, here are the books I picked up this week. 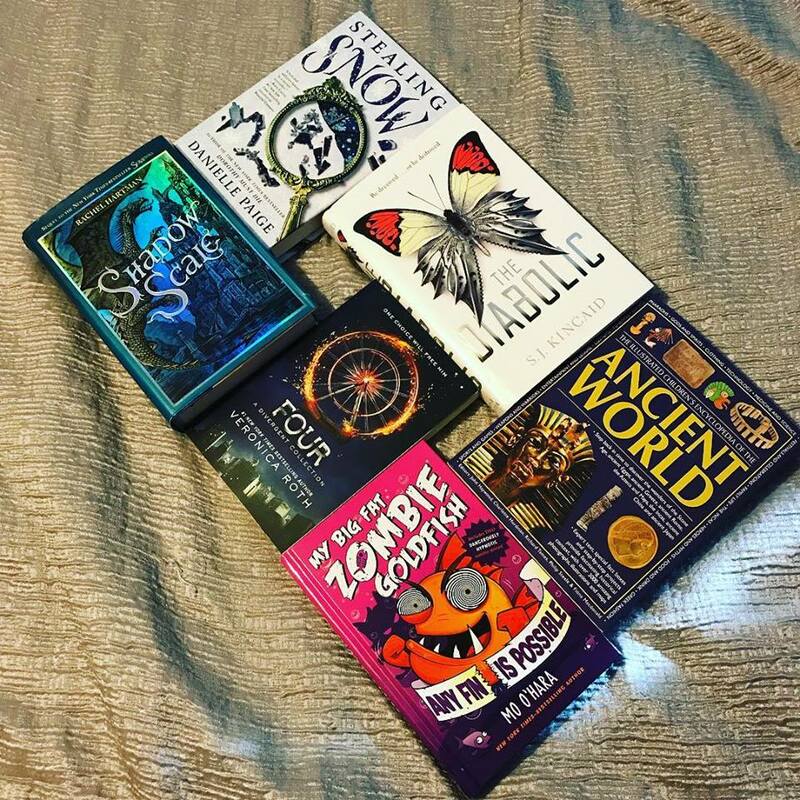 And once again, I lied about the whole not buying physical books thing, because last Sunday I went to the mall with my sister and of course stopped at the bookstore while we were there. Celtic Tales by Kate Forrester - I got this book on sale for $3.99 (no longer on sale) because I've always been fascinated by folk tales and whatnot from various cultures. I just think it's so interesting to see how they're similar and different. nest by Anyta Sunday - I snagged this book for free (no longer free) when I saw it shared somewhere on Facebook (possibly on Celebrity Readers' page, but maybe not). In any case, whoever shared it said they really loved it, and for the price of free, I was willing to maybe give it a shot at some point in the future. The Gender Game by Bella Forrest - I got this book on sale for $2 (no longer on sale). It's the fourth book in a series and I'd bought the first three on sale last week I think. It's a dystopian series, so I'm likely to enjoy it, and I'm a big fan of getting my books on sale whenever possible. And at the moment I'd rather be out $2 for a book I don't end up reading than spend $5 on the same book because I desperately want to read it (weird logic, I know, but it's mine). The Voice Inside by Brian Freeman - I won an ebook copy of this book through the Goodreads First Reads Giveaway program. (This always confuses me because these books show up as orders on Amazon, which is nice because it makes the reviews verified purchase reviews but makes me think I one-clicked books that I don't remember one-clicking). Broken Prince by Erin Watt - I got this on sale for $2.40 (no longer on sale). I've been drawn to this series since the first book release because of the covers. I haven't read any of them yet, but I want to at some point. Malicious by Jacob Stone - I won an ebook copy of this book through the Goodreads First Reads giveaway program. It doesn't release until sometime in March, so there's a chance I'll have it read before that...it's a very slim chance, but a chance nonetheless. The Gender Plan by Bella Forrest - I got this baby on sale for $2 (no longer on sale). It's book six in that series I mentioned earlier in this post (I'm only missing book 5 at this point and may find myself forking over the $5 for it at some point). A Cold Creek Noel by RaeAnne Thayne - I snagged this baby for just 99 cents (no longer on sale). I've been buying a lot of Ms. Thayne's books since reading one for my 12 Books of Christmas challenge. Hopefully her style is the same in most of them at least. The Gender End by Bella Forrest - I got this on sale for $2 (no longer on sale). It's book seven in that dystopian series. The Darkest Part of the Forest by Holly Black - I got this book for $2.99 (still $2.99). I'm not sure if that's a sale price, but the book is from the Hatchette Book Group, so it might be. Mostly I love the cover so much I was willing to drop $3 on the book. Now onto the physical books I bought this week. Stealing Snow by Danielle Paige - This is obviously a Snow White rewrite, and I'm all about fairytale retellings. Four by Veronica Roth - I knew I had the first three Divergent books in ebook form, I didn't remember buying Four (but apparently I had.) Oh well. The Diabolic by S.J. Kincaid - I've seen this book all over the blogosphere and the cover has been calling to me for months...months I say. Any Fin Is Possible by Mo O'Hara - My kids enjoy weird books like this, so when I saw this as a bargain book, I had to buy it. The Illustrated Children's Encyclopedia of the Ancient World edited by John Haywood, Charlotte Hurdman, Richard Tames, Philip Steele, and Fiona Macdonald - I apparently couldn't leave the store without getting something educational for my kids (and possibly myself). I'm all for a snow white retelling! Also The Diabolic sound so good! Um, most of the time I don't end up reading them, at least not for a long while. I want to read them but there are only so many hours in the day and I'm not in my 20s anymore so sleep is a thing I need now. I like having them for options though, and I pretty much always buy books on sale or used, so it's kind of a matter of buying them when I find them cheap so I will have them in the future if/when I have the time and desire to read them. Options. It's all about having options.